Spc. Derek Sherwood, a musician with the 222nd Broadcast Operations Detachment adjusts studio controls during radio operations on here Feb. 6. The 222nd BOD and the 302nd Mobile Public Affairs Detachment conducted various training events, including radio operations, range operations coverage, and drown proofing techniques during their four-day battle training assembly here, Feb. 6-9. Soldiers of the 222nd Broadcast Operations Detachment and the 302nd Mobile Public Affairs Detachment conducted battle training assembly here Feb. 6-9. 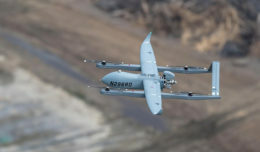 The Bell, Calif., and Vallejo, California-based Army Reserve units conducted a variety of training events, including radio operations, range operations coverage, and drown-proofing techniques. Drown proofing training is designed to help Soldiers survive in open water emergencies. Soldiers learned several swimming techniques such as the dead man’s float, side stroke and breaststroke. The trainees also learned to inflate their uniform tops and pants to gain buoyancy. 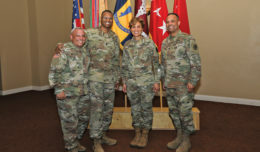 The 302nd MPAD and 222nd BOD Soldiers also practiced their public affairs roles. 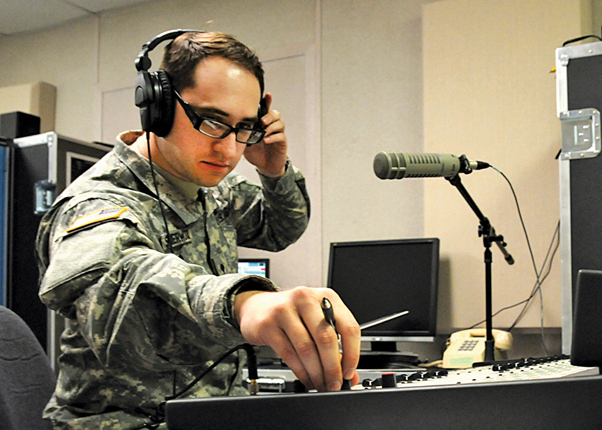 The 222nd conducted live radio operations on the installation radio station, 88.3 FM “The Heat.” As part of their training, 222nd Soldiers managed music queues, controlled volume and cross-fade controls, and held live interviews with several guests, including Command Sgt. Maj. Stephen Travers, command sergeant major of the National Training Center and Fort Irwin. Spc. Derek Sherwood, a musician with the 222nd BOD, described the operation as a one-man radio station. The 302nd MPAD provided story and photo coverage of several units, including 968th Quartermaster Company range operations and 801st Engineering Company airfield construction duties. 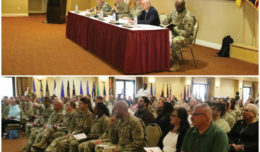 Soldiers of the 302nd MPAD and 222nd BOD expressed admiration of the training objectives completed and are eager for future opportunities to serve the Fort Irwin community.